The best-selling author and Edelman partner on his firm's unusual hiring requirements and what he thinks of breakaway brokers who don't repay their loans. David Bach, now a partner at Edelman Financial, is rereleasing "Smart Women Finish Rich." Smart advisors finish rich, too. Take Bach, for example. A former senior vice president at Morgan Stanley with $750 million in assets under management, by age 30 he was a millionaire — only two years after joining predecessor firm Dean Witter as a trainee. Then he set another goal: to become one of North America’s top financial experts by educating consumers — women, in particular — on how to manage their money. Indeed, he met that goal, seguing from wirehouse advisor in Orinda, California, to sallying forth on his own as a full-time financial educator, giving seminars nationwide, writing bestseller after bestseller and in the process, becoming something of a media darling. Now, at 47, the popular Moraga, California-born Bach has achieved yet another big goal: having an RIA. 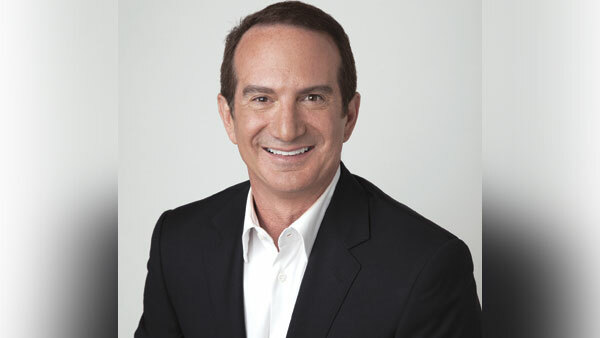 This past June, he joined Edelman Financial Services as partner and vice chairman. CEO-chairman Ric Edelman’s vast practice has 24,000 clients and $12.75 billion in AUM. Barron’s has three times ranked him the No. 1 independent financial advisor in the U.S.
To be sure, the Bach brand is widely known to consumers: his series of “FinishRich” books — including “Smart Couples Finish Rich” and “Start Late, Finish Rich” — have been published in 18 languages, with more than 7 million copies in print globally. He has scored more than 100 “Today” show appearances and became a familiar face on “The Oprah Winfrey Show,” “The View” and Fox News, among numerous others. As a motivational and financial speaker, Bach has conducted seminars and given keynote addresses to leading financial services firms and Fortune 500 companies. Further, under a licensing program, for seven years his “FinishRich” seminars were taught by thousands of FAs. At Edelman, Bach is serving in a management role, not as an FA. This summer he’s been busily updating the seminars and “Smart Women Finish Rich” book, an anniversary edition of which Random House will publish in April 2015. EFS trainers are scheduled to start teaching the public seminars next month. All that heightened marketing is expected to generate big bundles of leads for EFS; consequently, the firm is in active recruiting mode. Bach has had a passion for educating women ever since his 1993 trainee days, when he joined the practice of his father, Martin, near San Francisco. At client meetings, he says, he saw “terror in the eyes” of wives who “didn’t understand money.” Sixty days on the job, he held his first seminar for female clients. Soon the expanding father-son team was named The Bach Group. When David left, his sister, Emily Bach, took over the practice, now managing more than $900 million in assets. Edelman is eight years Bach’s senior, which makes the duo appealing to a range of age demographics. That should prove helpful when they kick off a financial television series, now in the works. ThinkAdvisor recently interviewed the candid New York City-based Bach about goals, dreams and aspirations — his clients’ and his own. ThinkAdvisor: How do you and Ric Edelman complement each other personality-wise? David Bach: We each appeal to different sides of the brain. I come at things more from the heart. I’m more the touchy-feely guy. I talk about values, dreams and aspirations. Ric is more the numbers guy. What’s your role at Edelman? I’m a partner with equity in the company, and I’ve come on board to help grow the firm. We’re looking at everything from strategic acquisitions to growing structurally. My job is to be the face of the firm along with Ric and focus on education, media and also a lot of advisor training. I’ll be working closely with our advisors to teach them how to build their book of business. In the beginning, the biggest thing I’ll be doing is rolling out — once again — my education crusade for women and money. Where do you and Ric align when it comes to EFS’ mission? We believe that everyone across America deserves honest, unbiased, fiduciary fee-based advice and goals-based financial planning. We have 100 advisors that have been trained to do business the same way. Ric’s focus has been retirement planning; my focus has been women. Will you and Ric be giving the “Smart Women Finish Rich” seminars personally? No. We have a team of 10 professional trainers and educators on staff that will go around the country teaching them. We’re training these trainers, and then our financial advisors will be available to meet with prospective clients. So with all that expanded marketing, you’re actively recruiting FAs. How is it going? This year we’ve already hired 14 advisors that have gone through training. By the end of the year, we’ll have 25. The firm has more than doubled in 36 months. It went from fewer than about 50 advisors to almost 110 now. Our goal for next year is to hire 100 more — if we can find the right type of advisor. We’re looking for a special type. That’s really important. First, you need to have been in the business for at least five years. We want you to have worked somewhere else first so you know what the rest of the industry looks like. When you come to Edelman, you find it to be a completely different culture. It’s “Fantasy Island” for financial advisors! You never have to prospect. The leads are generated by Ric and, now, by me too. They all come as a result of [Edelman’s] radio show, print advertising, direct mail and seminars. Qualified leads come in, and all the advisors have to do is meet with them. How does that translate into assets under management? Our advisors raise an average of $20 million to $30 million a year in AUM. Within five years, a brand-new advisor will have raised, on average, $100 million. Forbes Magazine quoted you as saying, “The B.S. meter today is higher than it has ever been. If you’re not giving people the real deal, and you are not authentic, people will know.” What does that mean to FAs? It’s worse for advisors than probably any industry. When I was a kid, people held the financial advisory industry in high esteem. Being a stockbroker was prestigious. Unfortunately, over the last 25 years, the financial services industry did everything humanly possible to destroy all that trust and respect. Today, the level of trust that consumers have for the industry is extremely low. That’s a big hurdle because so many people need help. Is the financial crisis mainly responsible for eroded consumer trust? The level of trust is very low because many people are doing business unethically. All you have to do is look at the billions of dollars that are going to products that should never be sold that don’t necessarily serve consumers. The B.S. factor is huge, and that requires advisors to be honest and extremely transparent. They need to put the client first. What specific qualities do you look for in an FA? You have to be nice. If you know you’re not a nice person, you shouldn’t even bother trying to come here because you won’t get through the screening process. Secondly, you have to really want to put your clients first. If you’re a salesperson, you’re the wrong person for us. And then, you have to be a financial planner at heart: you like sitting down with clients and going through their goals, dreams and aspirations. Is there any another requirement? You have to follow our system. We have a very specific training program and absolute methodology in how to do the business, and you can’t deviate from it. If you’re somebody that can’t follow a recipe and isn’t willing to work within a system, you won’t work [out]. What about advisors who figure, “Wow, all the leads come to me. Sounds like an easy job”? You still have to close those clients. You have to be able to meet with the clients and get business from them. You have to want to do at least two meetings a day with prospects or clients. When I was an advisor, I did seven to 10 appointments a day. So two seems like a cakewalk. Who is EFS’ target client? We’re reaching the mass affluent: people with less than $1 million. That’s the largest segment of investors. It’s where the bulk of wealth in America is today. Most of that’s in 401(k) plans, and [these investors] have IRA rollover needs. The average client at Edelman is around $400,000 [in investable assets], but the range is from $5,000 to millions. That’s quite different from most of the industry’s focus on high-net-worth clients. [The mass affluent] segment is ignored; it’s almost avoided today by the larger financial services firms, where advisors want to work with people who have $1 million or more. And this is why our opportunity is so big. We believe that people with less than $1 million deserve exactly the same [level of] financial advice that a client who has $1 million in worth requires. We want to help the people that need help. What about the millennials? There’s lots of discussion about this younger demographic. It’s not a market we’re reaching out to. There aren’t many 30-year-olds with [much] money to manage. A lot of the online firms will be working with millennials. Robo-advisors are a very natural [fit]. Is it hard for you to find the right advisors? It is, and one reason is that the first thing we do is [obtain] a credit report. You need to have a credit score of over 750. We don’t want to hire advisors who don’t have their financial act together. It’s unbelievable, amazing, to see how many advisors who, unfortunately, have low credit scores, or worse, who have [gone] bankrupt. Some advisors have been forced into bankruptcy because they lost FINRA arbitrations when they left their previous firms but couldn’t pay the balance on their signing bonuses — promissory notes. I’m not familiar with that being a core reason for advisors going bankrupt. [But] it’s unfortunate that, due to their lack of financial planning, too many advisors need to switch firms every five to seven years because they require the upfront check. It hurts the clients, who are constantly being juggled from firm to firm. It hurts the firms that poach back and forth. These same advisors often leave the industry and don’t want to pay back the money they borrowed. That practice is a lose-lose situation. But aren’t they obligated to pay back the loan? They argue, “Well, it’s not really a loan.” You know what? You signed documentation that said it was a loan, and you left the business in three years instead of seven. [The Financial Industry Regulatory Authority] says, “You took the loan, you owe the money.” The broker says, “It’s all gone now.” It’s often gone because they lived beyond their means. It’s stunning to me that when you’re in a room of 300 financial advisors, you know for a fact that many of these guys haven’t got any money in [their own] retirement accounts. It’s critical for advisors to practice what they preach. And, obviously, if you borrow money, you [need to] pay it back. They have every reason to go after them. When you give somebody money and they sign a promissory note for it, they owe the money. In arbitration, some advisors claim that recruiters falsely induced them: they were promised certain things; but once they joined the firms, they didn’t get them. The brokers say that FINRA arbitration panelists ignore those issues. Here’s what brokers know: Whatever you’re told that the firm is going to do for you when you come over, much of it is not true. The only thing that’s true is the check. Everybody in the industry knows that. You can take everything that they promise you and throw 50% of it out the window. The only thing that clears is the check. If you’re an advisor and you don’t know that to be the truth, then you haven’t paid any attention to what goes on in the industry. What prompted you to become involved on the education side? When I was with Morgan Stanley, I wanted to teach a million women about money; and the best way to do that was to train 1,000 advisors nationwide. I took the idea to the firm: I’d train the advisors to teach seminars, and we’d have a turnkey asset management program. They said, “It’s a great idea. It will probably work. But it will get so big that you’ll leave the firm.” So I didn’t do it. Then Van Kampen Investments (acquired by Invesco in 2009) saw a Research Magazine profile that I wrote about you. What did that lead to? We did a deal for me to train Van Kampen wholesalers to train 1,000 financial advisors. And now, in many ways, what I’m doing with Ric is what I originally wanted to do: have advisors across the country that can teach consumers about how to be smarter with their money. What was your experience leaving Morgan Stanley in 2001 to be a full-time financial educator? You had already published three bestsellers. It was a negotiated leave. They were thrilled to have me leave all the assets with the Bach Group [sister Emily; father Martin]. I turned my business over to my sister. I wanted to go independent and open my own RIA. But my father and sister didn’t want to leave Morgan Stanley. I didn’t want to fight with my family and be in a situation of battling for clients. What was one of the first things you did after handing in your resignation? Ironically, the firm had me train about 700 financial advisors to teach “Smart Women Finish Rich” and “Smart Couples Finish Rich” seminars. I toured the U.S. on behalf of the firm doing those seminars for Morgan Stanley clients. After 13 years of being on your own, what motivated you to join Edelman? And you two came to an agreement right away. What was your thinking? Ric has done the best job of building the largest RIA in the country. His firm has $13 billion AUM. I think with my [well known] brand, [we] can build a firm that’s got $200 billion. So now I have what I wanted: the infrastructure to build my business to the next level and reach more people. And — I’ve got 25 more years ahead of me. Will you be training outside advisors to teach “Smart Women Finish Rich” seminars? We’re actively considering that for later in 2015. They would need to use our TAMP (turnkey asset management program), which has 19 different asset classes and is professionally managed. We would receive part of their asset management fee. Why must they use your TAMP? We want to make sure that if someone goes to a seminar and then meets with an advisor, that the money is managed the way we want it managed. What do advisors, in general, need help with most? Marketing. The single biggest problem they have is that they don’t get in front of enough prospects. And they don’t have a detailed business plan or work toward a business plan. They’re just going from day to day. It’s astounding. What’s the worst crisis facing the industry? Financial advisors don’t have a succession plan in place. The average age of advisors is 58. According to studies, 50% of them want to retire in the next five years. But they have no succession plan. What’s your chief advice to FAs about how to manage their own money? This business is super-simple. No. 1 — and Nos. 2 and 3 — is: serve your clients’ best interest first. Once you’ve done that, make sure you do for yourself what you tell your clients to do. If you’re a decent financial advisor and you do that, you’ll be well off financially.